I thought it would be fun to put together a post about me and tell you a few things that you may not know. Some things are stranger than others and, if you follow me across social media, you may know some of them already! I competed in Irish Dancing for 10 years. When I was 16, I won the Cumann Rince Gaeilge (CRG) NPW Championships and came 2nd in the Open Championships; it was a big deal at the time! I fell in love and left shorty after that 😛 I still love dancing though and I went back a couple of years ago for fitness but found it too hard to balance it with work. … EVERY NIGHT! It’s so strange, but I can remember doing it when I get up the next morning and at the time I do be convinced that I’m making perfect sense and that it’s Darren who isn’t understanding me. Even though I say things like “Will you just go down and get all the plates and bring them up here…”. Darren is a messer, so instead of ignoring me or telling me to go back to sleep, he keeps talking to me and tries every time to record me. He hasn’t managed to yet unfortunately. When I was younger, I wanted to be a forensic detective. I loved that show “Forensic Detectives” on one of those random channels years ago (the name escapes me!). 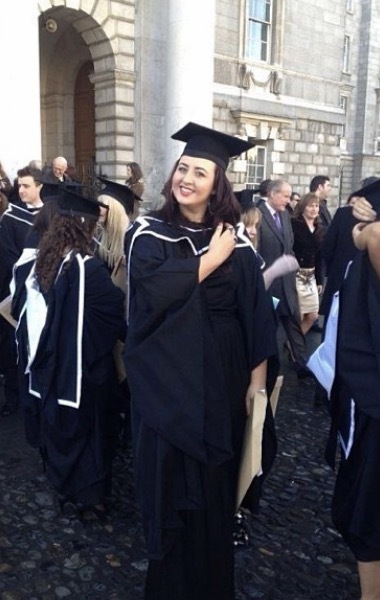 I was always interested in Criminal Law and I loved science when I was in school (Biology in particular) so it was a perfect job I thought. However, as I got older, I realised that I was way too emotional for that line of work but I still wanted to study law, so I did. This is a weird one! I mix up V and F when I’m speaking. So for example, if I’m talking about a ‘van’ (the vehicle), I will naturally pronounce it ‘fan’. It’s not a spelling or grammar thing, it’s a speech thing! I know the difference between a van and a fan and know what the correct one to use is, but if I don’t consciously think of it, I’ll say the opposite. That’s the case for every word starting with a V or an F. It’s madness! Does anyone else experience anything similar? I’m obsessed with teeth. I had braces for 4 years the first time and got them off just in time for Darren’s debs. My teeth were perfect and I was absolutely delighted with myself but they didn’t stay perfect. The dentist never even mentioned a retainer so I didn’t know I supposed to wear one. Since your teeth have a memory (I know, crazy! ), they move back to where they were before. 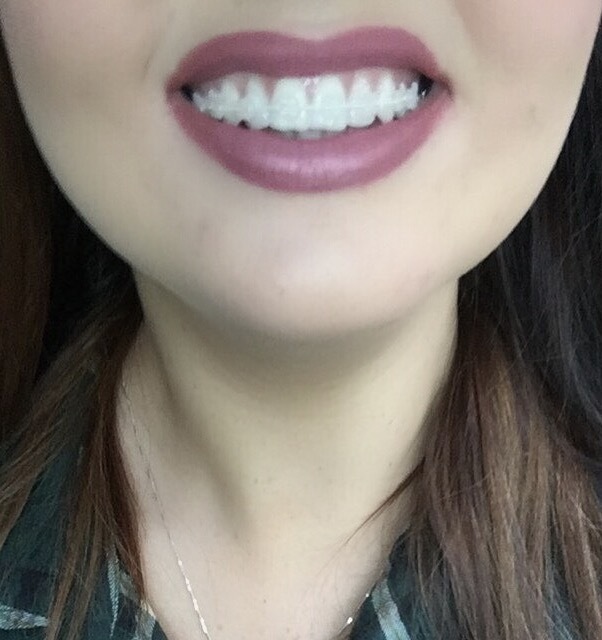 So when my teeth started to move, I got another brace on, about a year before my wedding. I got Clear Braces and wore them for 5 months. They didn’t have to tell me how important it was to wear the removable retainer and I also got a permanent retainer on the back of my teeth (I can’t see it or feel it, it’s great). I love food but I have recently come to accept that I’m a very picky eater. About sausages and chips in particular (the sausages have to have a crackle when I bite into them!). I eat most things, food just has to be cooked to perfection and not be overly potent. Speaking of potent, I absolutely cannot stand coriander, so much so that it deserves it’s own spiel. It seems to be in absolutely everything as well so there’s no escaping it. One of my friends loves coriander and keeps telling me it doesn’t taste… but to me, it’s the most potent smelling/tasting thing I’ve ever come across and it turns out we’re both right! Supposedly whether or not coriander tastes like soap to you, is all down to your genetics! I read about it here recently. I also HATE the smell of Lavender, it makes my head spin. Oh, and cinnamon… OK I’m finished! Thank god for Darren! 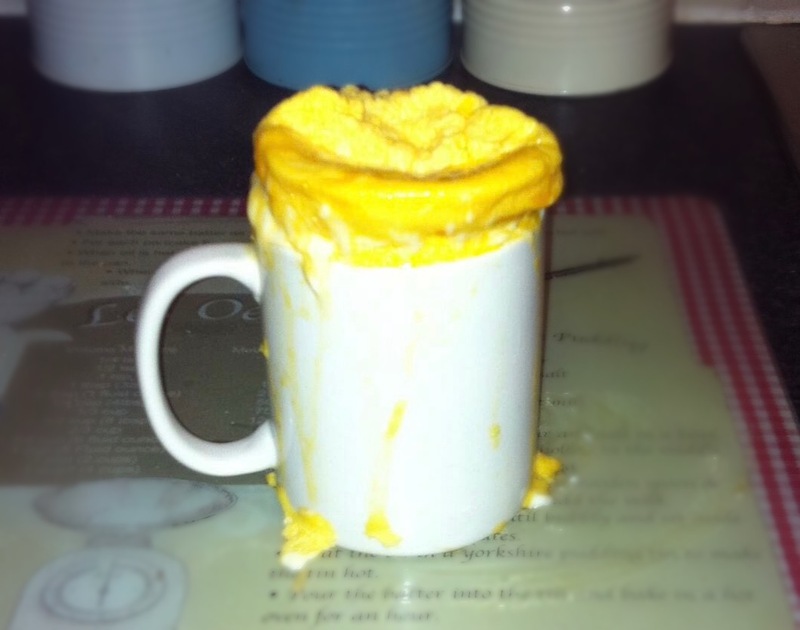 Here’s my attempt at an egg in a cup, before I found out I was allergic to them! It was never meant to be! I was suffering with really bad acne and after spending hundreds on creams and even taking antibiotics, I got an allergy test that confirmed it. You can read more about that and my skin problems here. That was a fun post to write! It’s something different to my usual posts but I thought this would be a good way to share a bit about myself. I’ll continue to update the “About Me” section of my website. If you’d like to see more of me you can follow me on Facebook and Instagram. You can also read more Weird and Random Facts About Me here.